Local Investment Guide: Why Timisoara? Its location on the western border and the easy access it provides to Central Europe, a well trained workforce, the authorities’ support in creating a business-friendly climate and a diverse and inclusive cultural setting have turned Timis county and Timisoara in particular into one of the country’s main economic growth poles. Local businesspeople tell BR what it is like to do business in Timisoara and what new opportunities lie ahead. “Almost 15 years ago, when Continental Corporation decided to invest in Romania, it decided upon Timisoara as its first location for several reasons: the highly trained human resources due to the Polytechnic University based in Timisoara, the openness of the people, the fact that they speak English or German, transparent communication with the local authorities and the small distance to the western border,” Christian von Albrichsfeld, general director of Continental Automotive Romania, told BR. The German automotive manufacturer has grown to be the largest company in Timis County based on turnover and one of the main investors. Out of the 13,000 employees it has in Romania, almost 7,000 are working for the three companies Continental runs in Timis – Continental Automotive, Continental Tires and ContiTech. “We plan to continue to invest in our people and in new facilities as more and more projects are based in Timisoara,” added Albrichsfeld. And Continental is not the only player from this industry that has decided upon Timis. 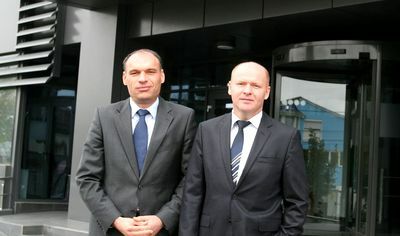 The automotive industry has become the county’s business backbone and several other international players – such as Delphi Packard, TRW Automo­tive, Lisa Draxelmaier and Mahle – have chosen to do business here due to the successful mix between the proximity to Central Europe, the quality of the existing workforce and support from the authorities. The latter came mainly in the form of infrastructure investments and support for the dual education system. Location is a crucial factor for manufacturers who elsewhere in Romania would have to struggle with poor infrastructure, and logistics and industrial space developers are investing in meeting their demand. Artemis Real Estate, the local branch of Swiss Artemis Holding, has recently announced that it will develop five logistics and residential projects near Timisoara, on a 128 ha plot of land. Out of this surface, 40 hectares have been allocated to the development of logistics and industrial parks. EUR 15 million has been invested so far in the land and infrastructure works at the site. “For us, the most relevant aspect is the city’s geographical position and infrastructure – the existence of an international airport and direct access to the highway network connecting Romania to Western European countries,” Michael Soormann, manager of Artemis Real Estate, told BR, adding that another important factor is the existence of a qualified workforce. Timisoara is not only close to the west, but its remoteness from Bucharest has prompted the development of a different business culture, thinks local businessman Ovidiu Sandor, the developer of the City Business Centre office project in Timisoara. “Given the city’s size, in Bucharest there are simply more companies and more people involved in business, but there is also a strong share of business that involves the state (…). Timisoara on the other hand, has seen the development of a business culture based entirely on the private sector,” he told BR. Timisoara is the largest university hub in western Romania, which makes it an attractive destination for investors from any given industry, but IT in particular. Two years ago, software consultancy company SAP opened an office in Timisoara because of the availability of a large number of German-speaking IT specialists, a crucial aspect given that in the beginning the office focused on serving mainly German, Austrian and Swiss clients, company representatives told BR. SAP now employs 80 people in its local office. 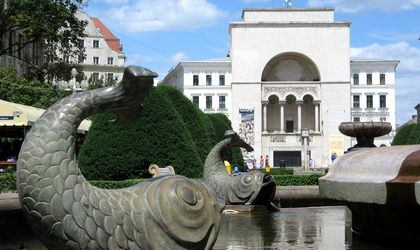 “Timisoara has become one of the most important Eastern European IT centers. In addition to the well qualified workforce and solid foreign language skills, especially English and German, this region also enjoys cultural compatibility with the countries our clients are from,” SAP representatives commented. IT services corporation Atos is another player that has been attracted to Timisoara by the existence of a large number of IT graduates as well as a diverse cultural setting. “Timisoara is a multicultural city, influenced by several ethnic communities – German, Hungarian and Serbian in particular, but also Bulgarian, Italian and Greek – and this provides an advantage in relations with our clients,” Catalina Dodu, country manager of Atos Romania, told BR. As for setbacks when doing business in Timisoara, Dodu says the local infrastructure needs further investments and there is also a need for more office space in the city. The availability of employees has also become a problem. Timis had a 1.58 percent unemployment rate this August, according to official data, and more and more companies are finding it difficult to fill positions. “Even if the unemployment rate is low, this is not always a positive aspect, as workers ‘travel’ from one company to the other. It’s harder to get good people on board and there is a war for talent in the city,” said the Continental Automotive Romania head. This is indeed Timisoara’s main vulnerability, added Monica Biota, partner assurance with PwC Romania and head of the company’s office in Timisoara. “It makes employment difficult and drives up salary costs, making the region less attractive for investment in sectors with high labor intensity and low added value. Also, as the existing multinational companies provide many well-paid jobs, entrepreneurial drive in the region is weaker than in other regions of the country, especially Transylvania,” she told BR. Sandor agrees that Timisoara’s main problem is the fact that it can’t meet demand for workers. “This applies not only to IT but also to service centers, engineering and so on,” he commented. In order for this issue to be addressed it is crucial to ensure interregional mobility by making Timisoara better connected to neighboring cities such as Arad, Lugoj, Resita and Deva and for universities to attract more students, he believes. Since the early 90s, Timis has seen massive investments in manufacturing, especially for the industrial sector, and the trend will continue, predicts Horatiu Pirvulescu, the director of EY’s Timisoara office. And automotive companies in particular are expected to continue to invest in expanding their local footprint. “Existing firms have significantly extended their production capacities while new names are looking at the market. Generally speaking, production companies – safety equipment, medical equipment, etc – are the first to come and then service companies will follow,” he told BR. While manufacturing will continue to expand, the areas around Timisoara and Arad will see considerable growth coming from the agricultural and food production industries, thinks Biota. This will be due to the large farms present in the area and a growing tendency to process the crops locally in order to obtain higher value-added products, she noted. Indeed, the county’s farming potential has already attracted players the size of Smithfield. “Banat (e.n. the region Timis is part of) has always been, historically, a very important farming region in Romania,” Cristina Bodea, sustainability director of Smithfield Romania, told BR. The company bought the Comtim farming center 16 years ago and has since invested some USD 600 million locally in swine farms and production facilities. It is now one of the main companies in the county. Smithfield Romania now manages, directly or through partnerships, 50 swine farms in Timis County. It also produces animal fodder and owns one of the largest local swine abattoirs. The availability of farmland and the region’s tradition in animal rearing were important factors in the decision to invest in Timis, but so were the quality of the local workforce and the presence of local experts, added Bodea. In addition to areas like IT, engineering and agriculture, Sandor also believes that there is still plenty of room for growth for entrepreneurs in the area. Some corporations have reached a dominant position in terms of contribution to the local GDP and share of local employment while there are too few large local companies. This risks making the local economy too dependent on foreign companies, he thinks. “I believe that on the long run, the sustainability of a city like Timisoara must come from local business and local companies,” he concluded.